Do Bed Bug Heat Treatments Really Work? - Yes Pest Pros, Inc. Do Bed Bug Heat Treatments Really Work? 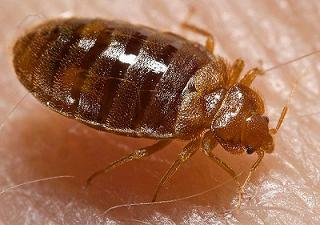 - Yes Pest Pros, Inc.
Do Bed Bug Heat Treatments Really Work? Bed bug heat treatments are an effective, environmentally friendly way of getting rid of pesky bed bugs. Everyone hates waking up and finding tiny bite marks on their bodies and those infamous little stains on their sheets. It is such an unsettling feeling. You can wash and wash, but they’re stubborn little creatures. It takes more than that to get rid of them. In most cases, it takes a bed bug control professional. Some people are embarrassed to admit (sometimes even to themselves) that they have bed bugs. They think bed bugs are the result of unsanitary living conditions, but the truth is that bed bugs have been found even in some of the cleanest environments. They are very resilient, so it is easy for them to catch a ride into your house on a shoe, a piece of furniture, a backpack or someone’s clothing. The most commonly known treatment for bed bugs is to have an exterminator spray chemicals around the infected area (usually your bed). No one is ever excited about the idea of having chemicals sprayed in the same area they lay their heads, but most people do it anyway because they think they have no other options. However, there is another option – bed bug heat treatments. They work by using high levels of heat to kill the bed bugs. How is that possible? Simple, it is the same concept behind boiling something to sterilize it. All life forms have a temperature at which they can no longer survive. This includes germs, bacteria and yes, you guessed it, bed bugs. Bed bug heat treatments have been around for a while and have more benefits than the standard chemical sprays. Heat treatments pose no threat to your health, they take (in most cases) only one day to be completely effective, the treated area requires no “detox” time afterwards, and best of all, they kill all bed bugs, regardless of stage. Bed bug heat treatments are not new, but they sure seem like they are when you consider how many companies are only offering chemical sprays as a solution to this common problem. If you have hesitated to treat your bed bug problem because of the undesirable treatment, try something that is far safer and faster acting. Try bed bug heat treatment.